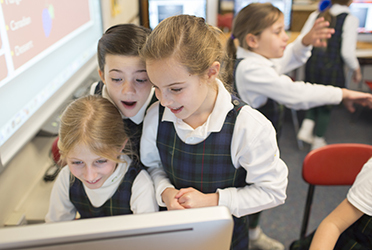 Joy, engagement, and strong relationships are hallmarks of the Lower School experience at Greenwich Academy. 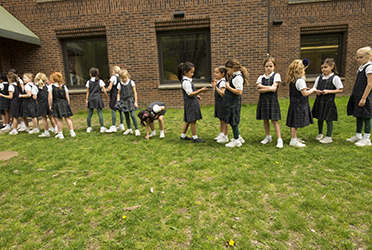 Composed of Grades Pre-Connecting (four and young five-year-olds) through Group IV, the Lower School provides a learning environment that is challenging and supportive, giving our girls the space to take risks, and approach new concepts with confidence. 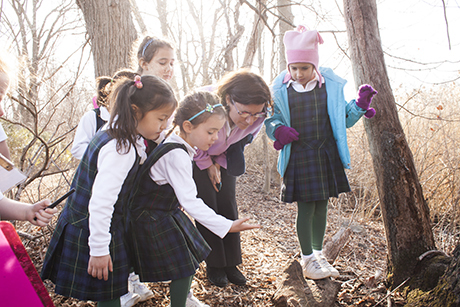 At all grade levels, the girls are given the opportunity to explore the richness of our Lower School program. 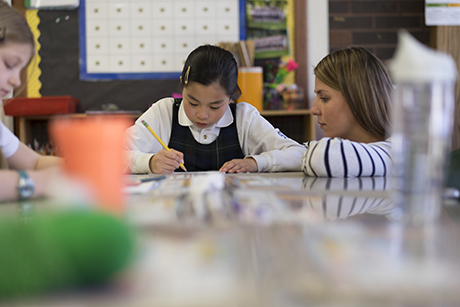 Science, music, art, Spanish, and dance are all vital components of the Lower School, and begin with our youngest girls in the Pre-Connecting class. In addition, technology is integrated in all classrooms and formal computer classes are a part of the Group I-IV experience. Finally, chess is introduced to our students starting in Group I in the form of a once-a-week class, with opportunities to represent the school locally and nationally on the GA Chess Team. 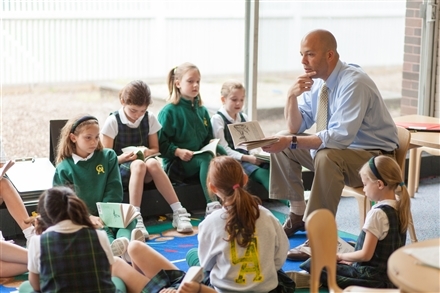 A primary objective of the Lower School program is to inspire a love of learning and an appreciation for the interrelatedness of all disciplines. 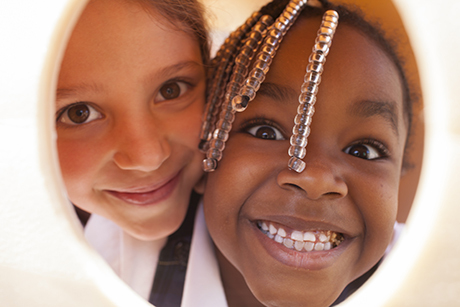 With that in mind, our teachers plan appropriate learning experiences for their students by carefully assessing each girl's academic, physical, and social skills. It is a delight to see the pride that comes with the mastery of basic skills, which in turn, leads to greater confidence, problem-solving competence, and the motivation to expand their interests and abilities. Enrichment activities and attention to special needs are offered at all levels to provide for optimum challenge. Most importantly, our girls take pride in their own accomplishments and celebrate the accomplishments of their peers. We also recognize that our work with the girls does not happen in isolation. Our Lower School administration and faculty place a high value on building strong relationships with both the children and their parents, knowing that such relationships help young people to make a positive transition from family life to the life and learning of the school community.